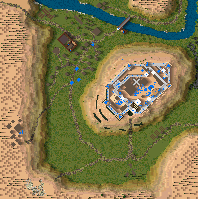 Short invasion, my intention was to rebuild a castle near my hometown. It's not really an invasion scenario, more like a siege. UPDATE V1.1 I added more Troops on your side but also more, especially armored, troops for the enemy. Also edited some small parts of the castle. I like the castle design the most, you could make the mission more difficult.